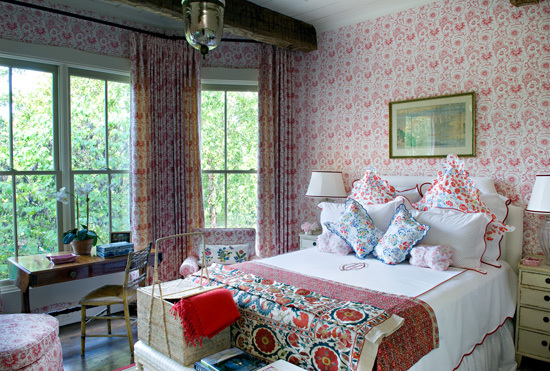 Tailored and classic goes totally boho chic here, but with the same foundational elements...and I like it too. I think I have a preference...but which do you prefer?? ohhh I like the lots of pillows version, very pretty! 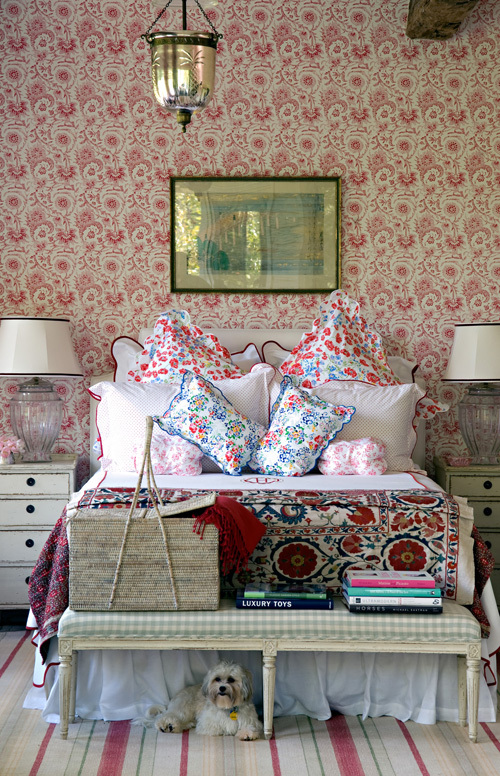 ooo preppy bohemian at its best! I like number 2 but whats with the diagonal pillows? Not into that. Love the first photo. Serene and pretty. I like the simplicity of the first photo. 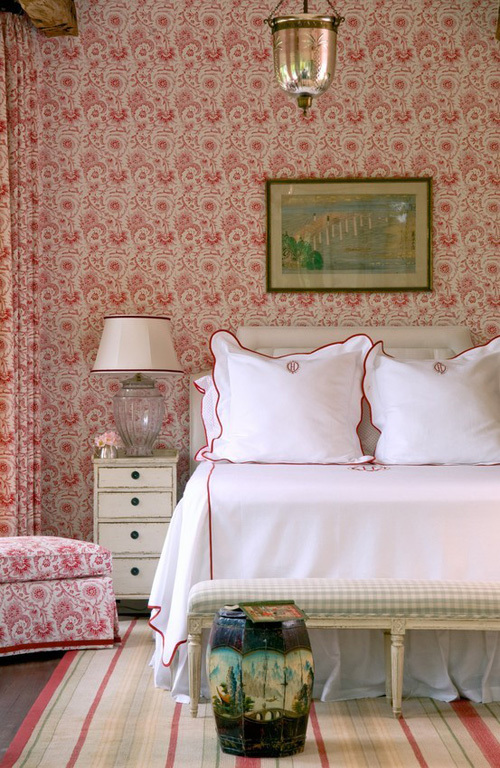 I love the red edging on the shams and bedspread! The second one looks a little busy to me. Both....the clean crisp version for spring and summer and add the bohoed patterned version for fall and winter. All the white seems warmer with the pillows etc. for cooler months. Love the Indian throw but on more tailored first photo. Digging the reds. Thanks for sharing.